Everyone likes to buy the best tires that they can get their hands on under the assumption that they will last for an exceptionally long time. However, tires are not yet wear-proof and over time they will eventually become worn under the cautious driver. Having worn tires will lead to reduced efficiency of fuel consumption, but above all else they are extremely unsafe. Your tires will lose their grip on the road, and this leads to accidents. Rainy and icy roads will not be your best friend, here! In fact, it does not take a significant amount of wear for your tires to result in an accident. 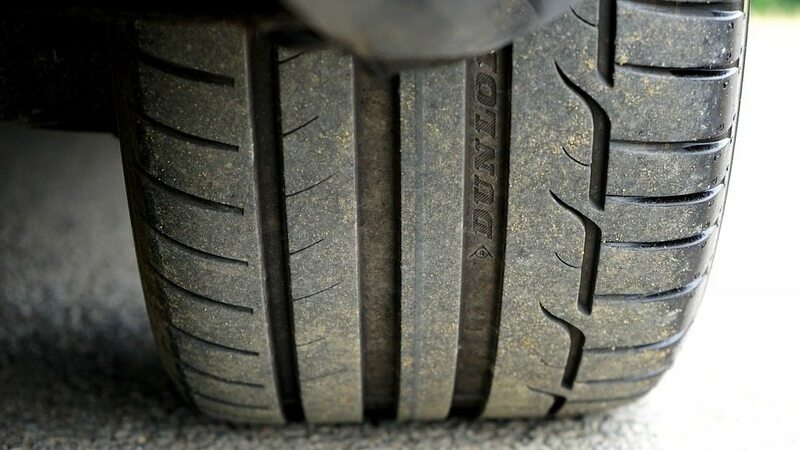 According to research done by the National Highway Traffic Safety Administration, half of the cars they checked had at least one worn out tire. ONE tire was all it takes to increase the chances that you are going to be in a car accident. Road safety is not something that you want to be taking risks with. You need to know when your tires are worn out and get them replaced to prevent an accident from happening in the first place. They can be difficult for the layperson to detect but over time and experience the tell-tale signs will pop out in front of you. Here are some warning signs you should watch out for when your tires are worn down. Generally, your tread wear is measured in 1/32ths of an inch. When the groove reaches a depth of 4/32, that is a sign for you to get your worn out tires replaced right away. Some people say that 2/32 is the ideal number, but by the time you make that measurement your tires are already bald. Tires that have been recently manufactured come with molded horizontal bars that will change appearance once tires have gone bald. If you see these bars at an even level with the tread of the tire, you need to replace the tires as soon as possible. If your tires do not have a visual indicator like the ones mentioned, you will have to manually measure the groove depth on a monthly basis. You need to use a proper tread depth gauge to do the measurements. Invest in a high-quality instrument, because you cannot afford to be inaccurate in your measurement. If you are not confident in your ability to measure tread depth on your own, visit a shop where the workers are trained to inspect your tires and see if they are worn out. It is possible that your tires may rot over time, due to extended use and/or poor care and maintenance of them. Your tire will crack over time, and this is a sign of the rubber material breaking down and decomposing. You need to check your tires for this rotting, in addition to doing your monthly checks for tire pressure to ensure that you catch the cracking in time. You may notice that certain parts of the tire are more worn out than others. This is another red flag that indicates you should take in your car immediately for further inspection. Abnormal bulges in the sidewall are also a common sign of uneven tire wear. These bulges are dangerous because you have compromised the structure of the tire, and that could lead to a serious accident down the road. If possible, you should not drive again until you have had the bulges fixed or your worn out tires replaced completely. These are the three major signs that your tires are worn down and need to be replaced. Don’t wait until you see all three signs to take action – by then it is already too late. Seeing just one of these signs should be enough to prompt an immediate visit to your nearest tire repair and replacement shop.